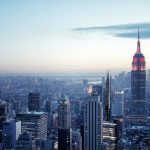 MAD Architects, led by Ma Yansong, released an alternative vision for New York City high-rises with East 34th. The Michael J. 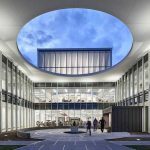 Grant Campus of Suffolk County Community College in Brentwood, New York, has got a state-of-the-art library designed by Ikon.5 Architects. 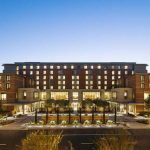 The University of California Los Angeles’ (UCLA’s) Meyer and Renee Luskin Conference Center has set a new standard for sustainability. The $162-million building earned a Leadership in Energy and Environmental Design (LEED) Platinum certification. 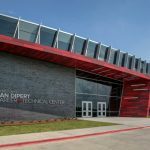 Celebrating the beginning of its second academic year, the Dan Dipert Career + Technical Center (CTC) serves approximately 2400 students from across the Arlington Independent School District (AISD) in Texas. Designed by VLK Architects, CTC incorporates storefront, curtain wall, and entrances systems as well as custom sun shades—on both the building’s exterior and interior—to emphasize transparency and promote collaboration and connection. More than ever, it has become the responsibility of specification writers to ensure curtain wall products’ performance, testing, and installations are defined IN ORDER to meet project requirements. 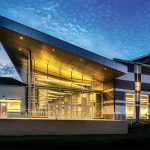 A properly installed, field-assembled stock length curtain wall can meet industry leading performance standards, and support continued construction challenges with regard to availability of qualified labor, as well as fast-track project schedules.